CALL US NOW IF YOU ARE HAVING ISSUES WITH YOUR TRAULSEN REFRIGERATOR! We are open 24/7. If you’re experiencing any trouble with your Traulsen refrigerator, you don’t want to wait around for it to break completely before calling for service. Symptoms that your fridge isn’t working well may not seem like a big deal now, but if left unchecked, they could lead to complete failure of your appliance. Replacing a refrigerator before it’s expected lifespan will be much more expensive than calling for service. That’s why you need to call All Time Services as soon as you suspect a problem with your Traulsen refrigerator. 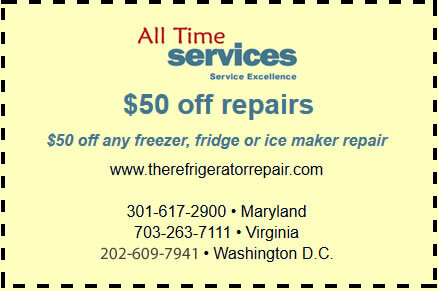 Whether you have a bit of frost on some freezer items or the door simply won’t stay closed, we have the best trained technicians in Virginia and the greater Washington D.C. area and they’ll have your fridge fixed quickly, regardless of how severe the problem is. Leaks – Water can come from the evaporator coil, drip pan or a faulty ice maker. Condensation – Buildup of water on the outside of the unit can be a sign of multiple problems. Compressor Keeps Running – Your Traulsen refrigerator’s compressor should cycle off on a regular basis. If it doesn’t, it needs to be inspected immediately. Noisy Motor and Compressor – The more noise they make, the more likely there is a problem. Freezing Food – Frozen food in the fridge compartment is usually a sign of a thermostat issue. Frost and Ice in Freezer – Excess moisture in the freezer will create a layer of frost on your food. Improper Door Seal – The door not sealing properly can cause other problems. These are all very real issues that can cause unnecessary wear and tear to your refrigerator, so call us as soon as you notice any of them. No one likes dealing with a broken appliance, but ignoring problems is a surefire way to force early replacement and run up higher energy bills. That’s why you need to call us as soon as you see signs of a problem. 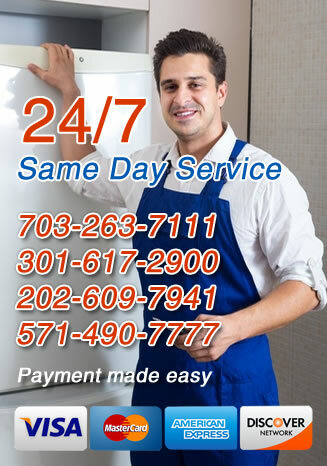 For fast and professional Traulsen refrigerator repair service in Virginia, Arlington, Gaithersburg, MD and the Washington DC surrounding areas, call All Time Services today.